The Philadelphia pattern trowel is better suited to lay block as it allows more mortar to be placed on the blade. W. Rose Trowels are the World's Finest Bricklaying tools. W. Rose Trowels are meticulously hand crafted from special tool steel in a unique process involving forging, heat-treating, and hand polishing to produce the world's finest one piece bricklaying trowels. W. Rose Quality means World Renowned Excellence! Blade and tang forged in one piece with a special heat tempered process. 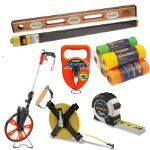 See our Complete Line of Masonry Tools. 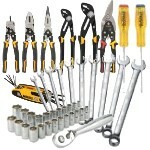 See our Complete Line of W Rose Tools.